Falguière neighbourhood. This magnificent near 196 sqm apartment is on the second floor of a fine turn-of-the-century freestone building. 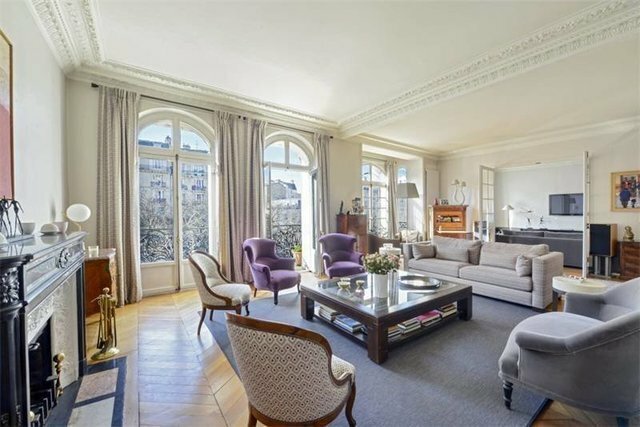 Bathed in sunshine and opening onto wide balconies enjoying a view of the Eiffel Tower, it includes an entrance hall, a south-facing triple living/reception room with a fireplace, a dining room, a spacious kitchen with dining facilities, a master suite with a bathroom and a dressing room, two bedrooms each with a shower room, and a laundry room. With a double cellar. It would be possible to create five or six bedrooms if required.